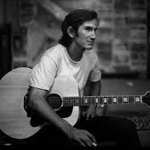 Learn how to play Townes Van Zandt – Dead Flowers note-for-note on guitar. Please note that this ISN’T the Big Lebowski version. That one has two guitar parts in it. I teach here a one-guitar version from a Townes concert in October 1990 (just the man and his guitar). The complete file contains 2 lesson videos, 2 performance play thru videos, full tabs, chords and lyrics. You’ll receive a link to download the lesson which will download as a zip file of 574 Mb containing all the lesson content.